Family Matters provides the Separated Parents Information Programme (SPIP) in accessible locations in York, Scunthorpe and Grimsby. A SPIP is a four-hour course which is provided free of charge when the court orders the parents’ attendance as part of a court case about children. You will take part in a specially designed programme for separated parents and meet other parents who have experienced similar situations. The course will be managed by an experienced facilitator who will introduce the programme and the exercises. The programme will help you to see things differently and improve communication with the other parent so your child does not feel under pressure to fix things between you. A SPIP is ordered by the court, so it is a legal requirement that you attend. Will my ex-partner be on the same course as me? No – the other person in your case will attend a different course on a different day. So, you don’t have to worry – you will not be at the same meeting as your ex-partner. If you are particularly worried about this, please contact Claire Mawson the programme co-ordinator on 01302 369688. Research undertaken by Cafcass, and our own feedback, indicates that people who attend a SPIP programme have increased levels of parental co-operation and the outcomes for their children are also improved. What if I can’t attend the meeting I’ve been offered? If you are unable to attend the date or location we have offered you. Please contact our office giving us at least 24hrs notice and we will organise another meeting. Do I have to speak to other people or tell them why I am there? No – you are able to contribute as much or as little as you wish. It is often more beneficial if you attend with an open mind as parents learn from each other when they’re in a similar situation. There will be a presentation and range of exercises which can be done either as written exercises or as a group discussion. 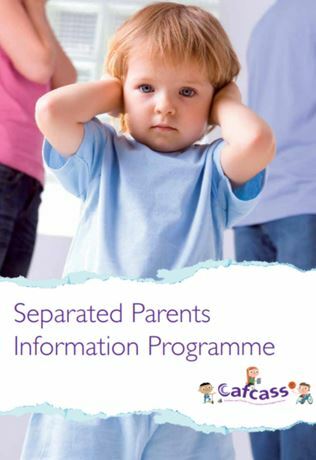 The programme looks at the journey you are on and caring for your children as separated parents. You will watch a DVD made in conjunction with young people and be encouraged to think about your strengths as a parent and how to build on them. We will focus on communication and managing conflict, helping you to learn new skills. Your Unique Participant ID code and a positive attitude. The more you give, the more you’ll get from our service. Parents who have come to the Separated Parents Information Programme all say they have learned things from attending. “It’s made me see more clearly the impact both parents can have on a child. 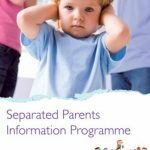 Find out more about the Separated Parents Information Program and mediation with Family Matters here.